We appreciate that you considered BaT Auctions and wish you best of luck with the sale. Please let us know if you have any other vehicles you would like us to consider. Unreasonnable reserve expectations?? It was set at a heavy loss for me at $3500, shipping to anywhere in the world included. Yes, $3500, shipping ot your local Ro-Ro. That was the reserve. So obviously, the unreasonnable reserve expectation isn’t the reason there. BaT is a good tool for me to find new customers, so I don’t mind sacrifying a car there and taking a loss... Up until now, every car I’ve sold there has gotten me new customers looking for other cars and ending buying from me. Common model with many similar cars available? If you’re in Italy or France, there are some left in good shape. Not common by any mean, but yeah, sure, not rare either. In the US, it’s rare enough that I have never seen one for sale before, nor have I ever seen in one in the streets after spending 12+ years in the US and Canada. Now many models recently accepted?? They have never offered one at auction on BaT either. 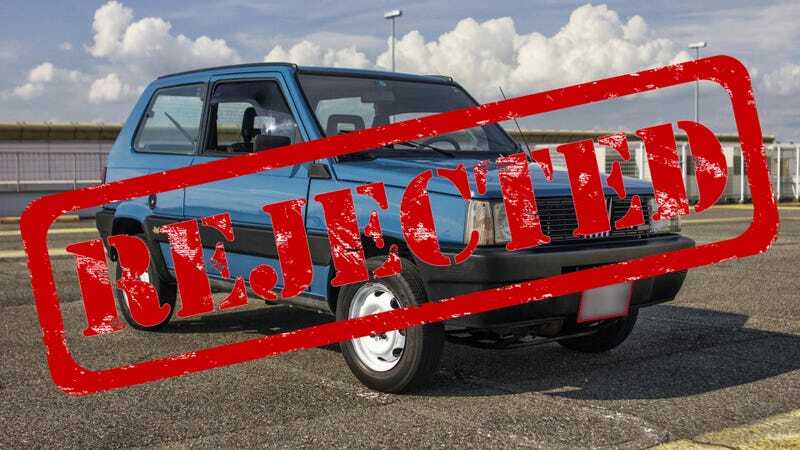 They did an article on one back in November 2016 though, called “First we’ve seen in the US: 1987 Fiat Panda 4x4" with the car being listed at an insane $12900...Not to mention that in the past 30 days, they’ve had “5" E39 M5 offered on auction... FIVE! So obviously offering too much of the same car is not really an excuse for anyone. And how is a Fiat Panda 4x4 “not a good fit” for BaT?? Isn’t it for this specific kind of rare, affordable and quirky car that BaT was originally created? Yeah, that’s all for my rant now... I’m kind of pissed lol.